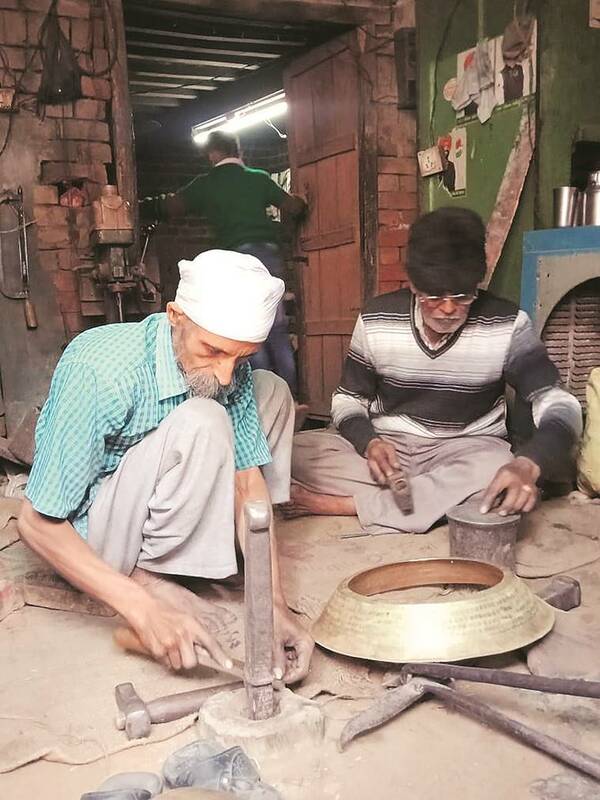 THE constant sound of the hammer falling on the metal fills the narrow streets of Jandiala Guru, a small village located 20 kilometres from Amritsar. Here, the Thathiars, a community of metalsmiths, transform humble brass, copper and similar metals into utensils, kettles, vases and clocks. They are carrying forward a tradition that is fast losing its sheen. With their tools they painstakingly continue the craft that no longer has many takers and sustenance is a constant challenge. Thathera is the only craft form of India to be inscribed in the UNESCO List of Intangible Cultural Heritage but in recent years, the number of Thatheras has reduced from 500 to just 30. Now, as part of Project Virasat, Punjab Thathera Art Legacy (P-TAL) is working to create a brand for the promotion of this dying craft. Part of the project are more than 30 members of Enactus, an international not-for-profit student run organisation that has over 70,000 students as active members in 39 countries. Enactus brings together a diverse network of university students, academic professionals and industry leaders to fulfill the shared mission of creating a more sustainable world. Enactus — Shri Ram College of Commerce (SRCC) since its inception in 2007, has undertaken several community outreach projects as part of this shared mission. Project Virasat has received support from mentors at the District Administration level and from the Deputy Commissioner of Amritsar, who is the chairman of P-TAL. Yashaswi Sharma, one of the project directors, recalls that when the team first arrived at Jandiala Guru in June 2017, they discovered how the craft had great potential but there was a lack of ownership amongst the thatheras. Exploitation by the Kasariyas, middlemen who made untimely and inadequate payments, was a common issue, apart from internal conflicts among them. The first step, recalls Jayana Jain, one of the core team members, was to organise the community of Thatheras into a self-group group, a legalised entity. P-TAL is working directly with the Thatheras to improve and manage the supply chain, linking them to markets and managing their finances. P-TAL’s journey started with just one thathera, Manohar Lal — the only one willing to invest a small amount. 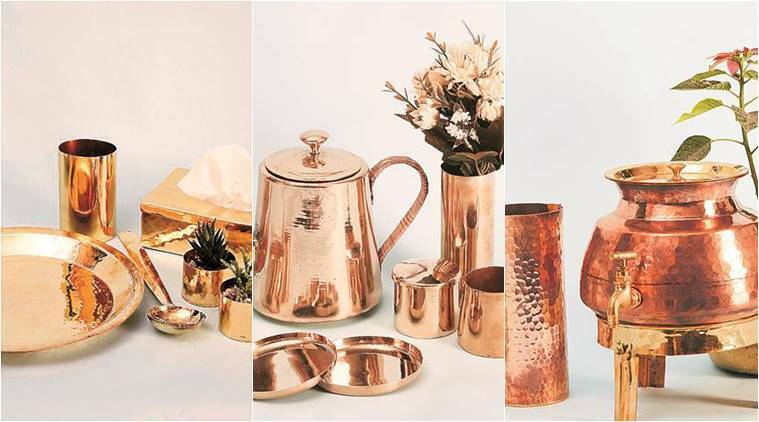 Today, there are 14 more Thatheras on board and P-TAL has emerged as a leading brand for handmade brass and copper products in the country. The products are electrophoretically lacquered, so the lustre and shine remains intact and it avoids blackening. Two professional designers have created as many as 65 new designs to appeal to the contemporary buyers. Options of customisation are also available, which according to project director Akshra Dhamija has helped them explore new markets. “The Thatheras are eager to learn and adapt to the new demands with some encouragement. Coming up is a range of pen stands and paper weights,” says Dhamija, adding how as part of the project there is valuable focus on the institutionalisation of Thatheras, training and development and establishment of market linkages. “We are consistently connecting the Thatheras with new demand avenues in craft and décor retail stores, premium e-commerce websites and showcasing products at exhibitions,” says Dhamija. The story of Gaurav coming back to his craft is a milestone for the team. 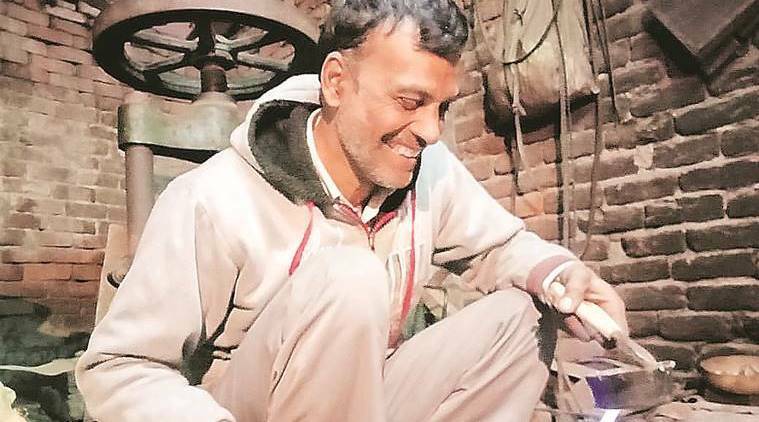 Gaurav worked for five years in a thread factory in Ludhiana, but could not sustain himself. As he saw the industry make profits, he returned to the craft form, continuing the legacy of his forefathers. Harpreet Didi, daughter of one of the Thatheras, is pursuing an MBA and is handling the finances of the project. The long-term objective includes opening the brand’s permanent retail outlets across India and also exploring the international market.